The search for musical truth ends with Finalé. All products designed and manufactured in CANADA. 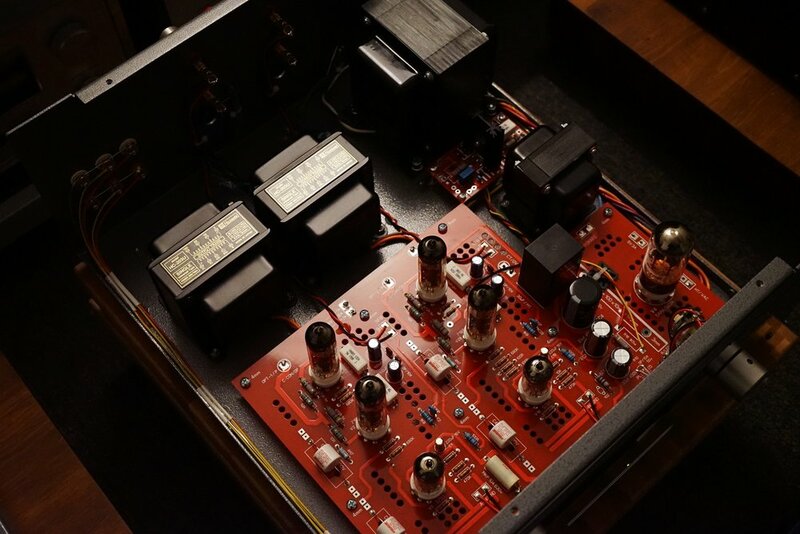 The ALGONQUIN is our second premium class integrated amplifier after the NIAGARA. It's a Parallel Single Ended design with the most popular EL84 / 6BQ5 / 7189 tubes. Our EL84 Push Pull design is proven to be award-winning, and our new Algonquin will be just that, like our heritage-high-quality proper HiFi transformers are being used. It's also a must to ensuring the use of other brand parts and bits for the best possible sonic improvements. The highlight is an additional/separated power supply circuitry that feeds the amplifier, with voltage regulated and purified, which allows the perfect amount and stable voltage to allow the tubes to work as accurately and quietly as possible, and to unleash the best sonic potential. On our designs without the regulation, it's quiet enough. This just takes it to the highest levels. 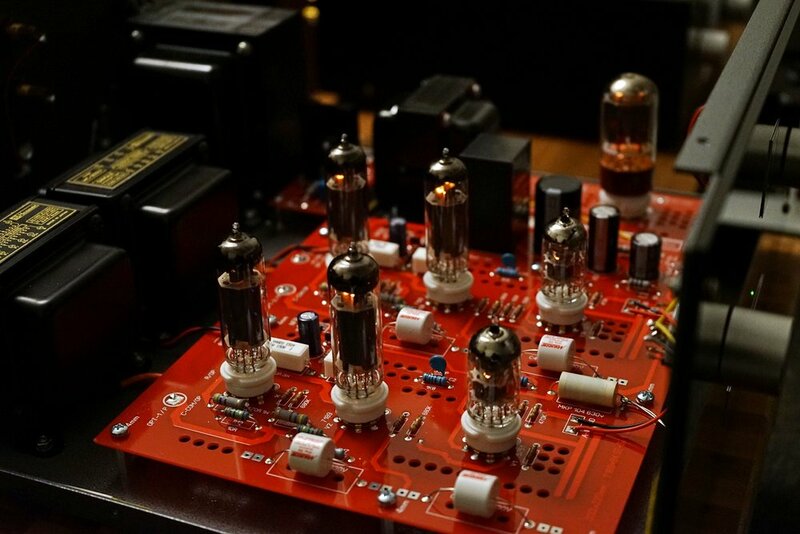 The rectifier stage is an advance hybrid tube-solid state design (originally used on our 829B Special "The Galliard") - What it does is to balance out the rectify tube from start to finish, it will ensure a full-voltage supply and best efficiency in effect. This best 12W in pure Class A will drive most speakers in a very good state, the gain and drive are properly useful and plenty as a true "integrated" design; with just 300mv input, we have already easily yielded 9Ws before distortions. This is a long overdue follow up to let you know that the Algonquin arrived in great shape. As for the sound, it is nothing short of magnificent! Beauty, texture, and musical drive like nothing I have heard in this price range and for several times the price for that matter. The amp is very engaging musically and is driving my Living Voice speakers with aplomb. I am enjoying the amp daily, often for several hours at a time. It is so good it’s hard to turn off my system. Finalé logo and content - All Right Reserved. 2018. Finalé Audio, by Tube de Force Ltd.